When I first saw the set of 15mm Human Fantasy Buildings designed by Sam Croes I knew that I had to have a set. 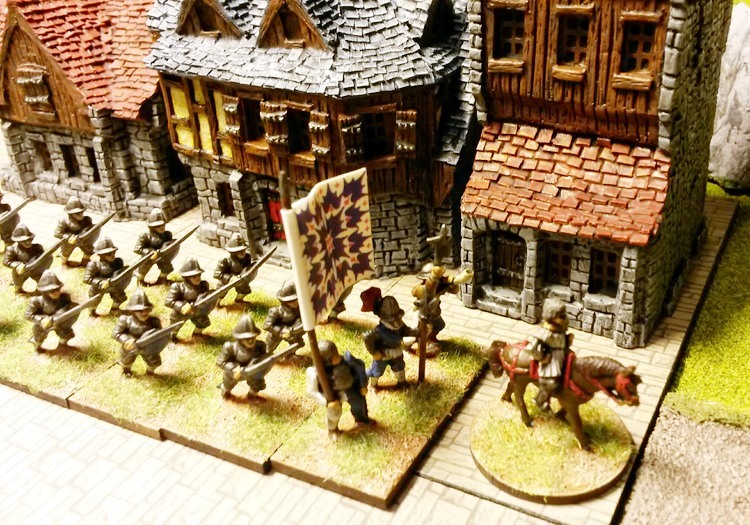 Having good scenery for whatever genre or scale of wargaming you're doing makes your games much more rewarding. 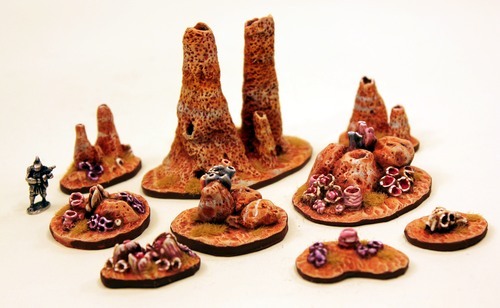 There are 5 buildings in the set which can be purchased individually or all together as the HOB1 Human Starter Settlement (with a discount on the total price). Two of the buildings are hovels with thatched roofs and a more rural look, while the other 3 are stone built with tiled roofs and look more like town buildings. They look great together as a single settlement and are based on historical buildings so would be useful for historical games too. All 5 buildings have excellent levels of detail and on the set I have there was no need to trim any flash. 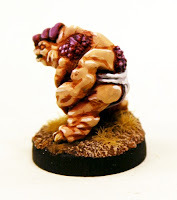 With the resin being of such good quality they probably didn't need any further preparation before painting but I did give them a wash with mild detergent to be sure that there were no chemicals on their surface that would stop paint adhesion. I then undercoated all 5 buildings in black matt acrylic paint and left them overnight to dry. 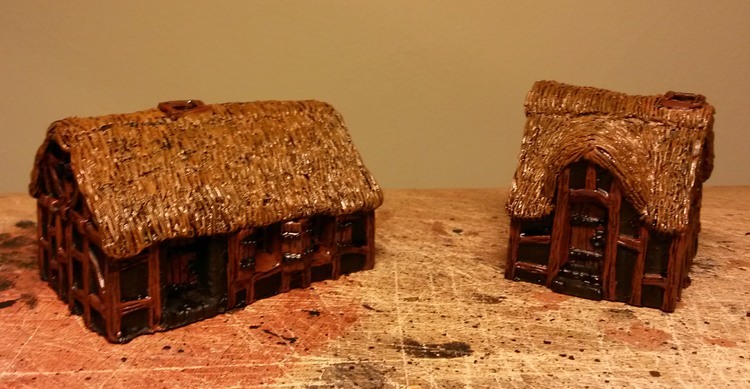 As there are distinct styles between the buildings I decided to paint the 2 more rural buildings first. 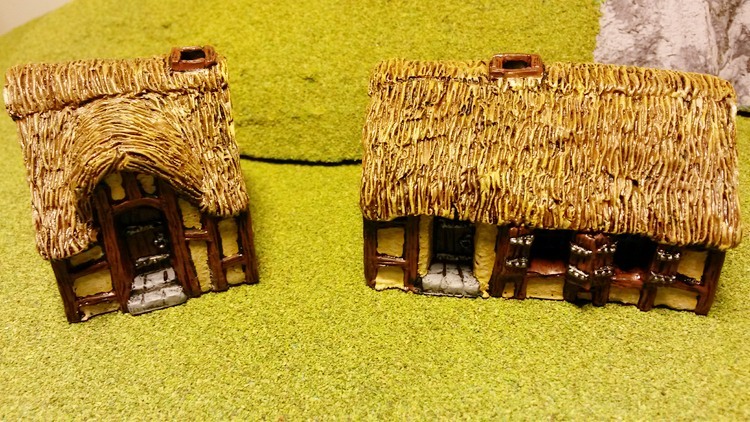 These are HOB1A Small Hovel and HOB1B Big Hovel. 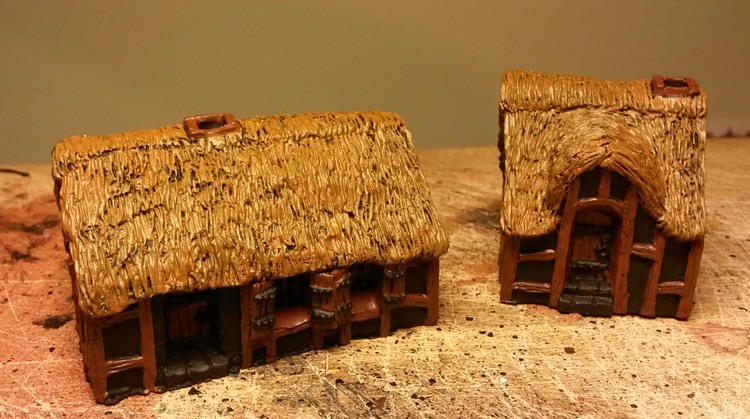 The thatch was painted in a light brown and the wooden framework on the buildings (including doors and window frames) in a mid brown before all these areas were given a brown ink wash.
Once the ink had dried the thatch was given a heavy dry brush of yellow and the exterior walls within the wooden frame areas were painted in the same yellow. Finally the exterior wall areas within the wooden frame were dry brushed in a bone colour, any metal such as door/window furniture or frame fixing plates were given a light dry brush in a gun metal colour metallic paint, and stone doorsteps were painted a mid grey. I then decided to paint the 2 smaller stone built buildings as they are also very similar in style. 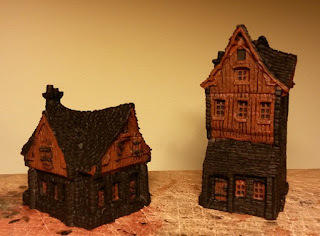 These are HOB1C Small House and HOB1D Tall House. I started with the wooden areas and painted them in a mid brown the same as the rural buildings. 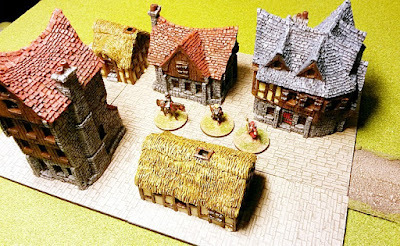 If you wanted to make them look more like town buildings these wooden areas, especially doors and window frames, could be given a splash of colour but I wanted to tie all 5 settlement buildings together. 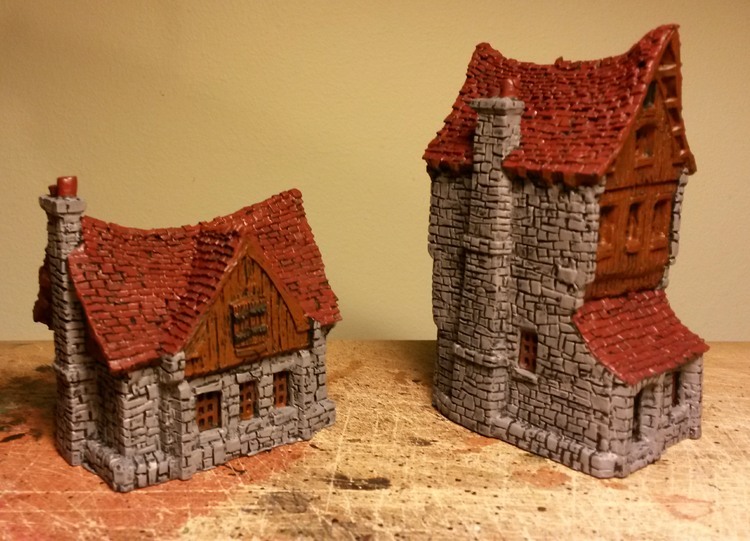 Next I painted all stone areas in a heavy dry brush of mid grey with the roof tiles and chimney pots in a brick red. 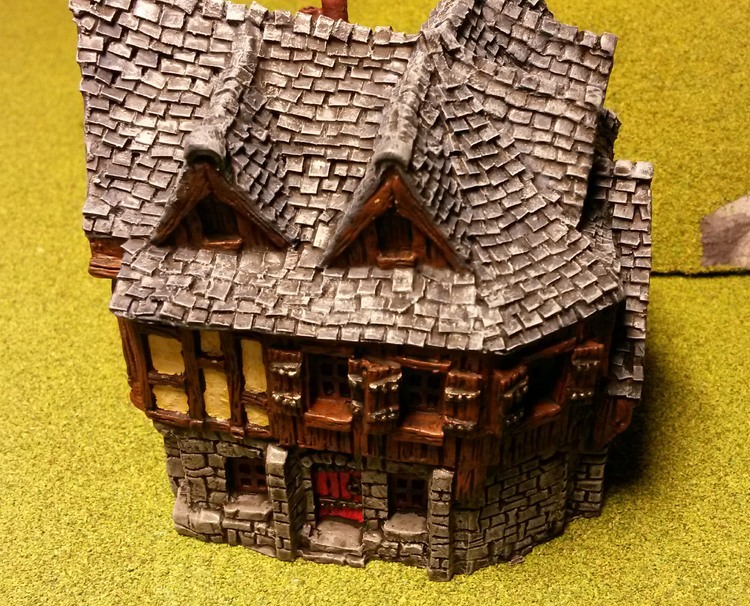 Any metal such as door/window furniture was given a light dry brush of a gun metal colour metallic paint, before the whole buildings were given a black ink wash. To finish off a light dry brush of light grey was added to the stone areas and a light dry brush of blood red was added to the roof tiles. Finally I painted the largest building in the set, HOB1E Large House. As this is a stone building with a tiled roof but also has wooden frame areas similar to the rural buildings I used all of the techniques above. To start, the wooden areas were painted in a mid brown and the stone areas in a heavy dry brush of mid grey. 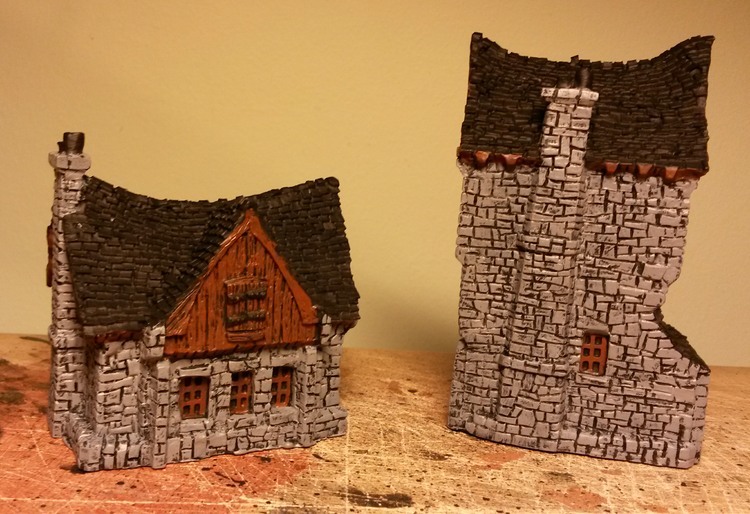 While the chimney pots were painted in brick red, I decided to paint the roof tiles in a mid blue to give variety. 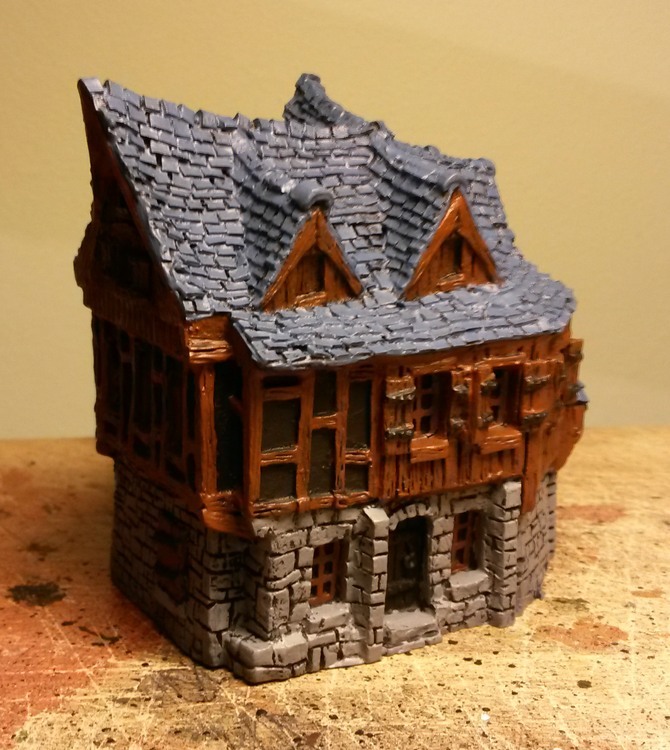 Next, any metal areas such as door/window furniture were given a light dry brush of a gun metal colour metallic paint, before the whole building was given a black ink wash.
Then a light dry brush of light grey was added to the stone areas and a light dry brush of very pale blue (I added a tiny splash of blue to white paint) was added to the roof tiles. As a finishing touch the front door was painted in blood red. This house looks like it belongs to a wealthier person and this made the building stand out. I am very happy with the final result and have already used the buildings as objectives in AoMaS scenario's. 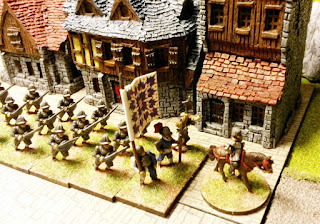 Yes sometimes it's fun to just line up your armies and charge across the table but having an objective makes you have to think about what you're doing. 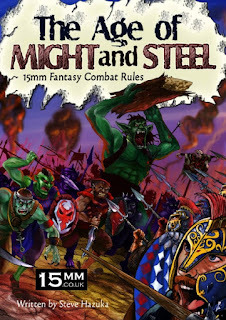 Most battles in history have been one force defending territory and/or possessions against a force that wishes to take them, so why should a fantasy game be any different. The buildings can be used together as a settlement, or the rural ones can be used as a small village/farm with the stone ones as a separate small town. I can see me buying another set in the future to expand the possibilities. 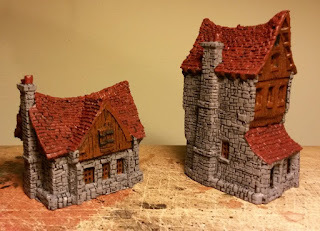 I am currently working on a human force for AoMaS to use against my goblin force and these buildings will play a big part in the first game. I'll let you know how I get on in a future article. 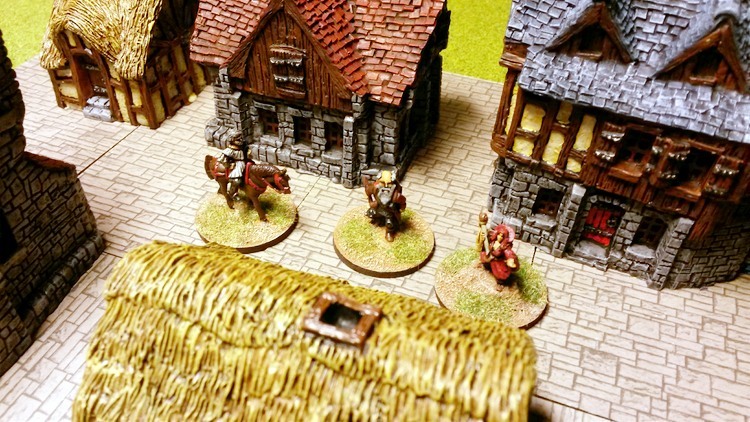 Ikwen Terrain Codes released by Loud Ninja Games! 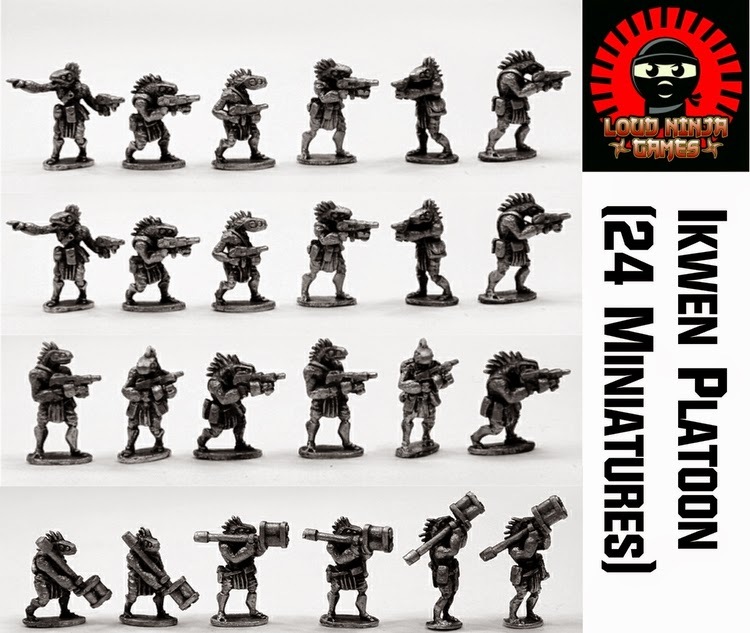 Loud Ninja Games through its agent 15mm.co.uk is proud to present to you the Terrain packs of the Ikwen! 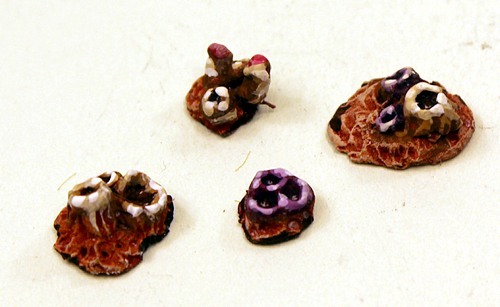 Sculpted by Eli Arndt these resin and white metal packs gives you scenics for the bases of your miniatures, scenics for dioramas and scenics for scatter terrain on your wargaming table. 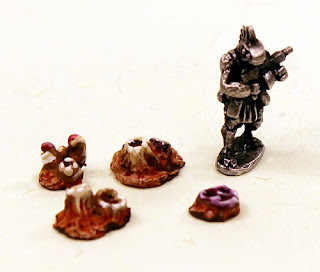 Weird and alien these 15mm models fit excellently with the white metal Ikwen also sold by Loud Ninja Games. Excellent! Read on for details or go HERE. 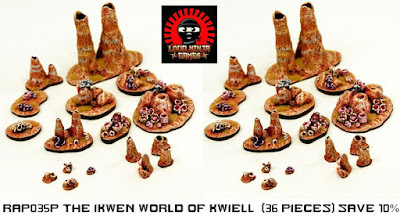 Over a generation ago, the planet Kwiell was set upon by aliens bent on exploiting the natural resources of the planet. The planet’s native population, the Ikwen, found themselves suddenly enslaved and their society rocked as they were enslaved, put to work and in many cases hunted and killed. 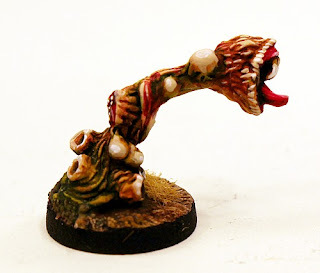 The Ikwen have spent decades in frustrated servitude to these invading overlords. We see them as very much freedom-fighting indigenous life forms, use them as alien invaders, allies, mercenaries or even lower tech indigenous forces for more organized warfare. 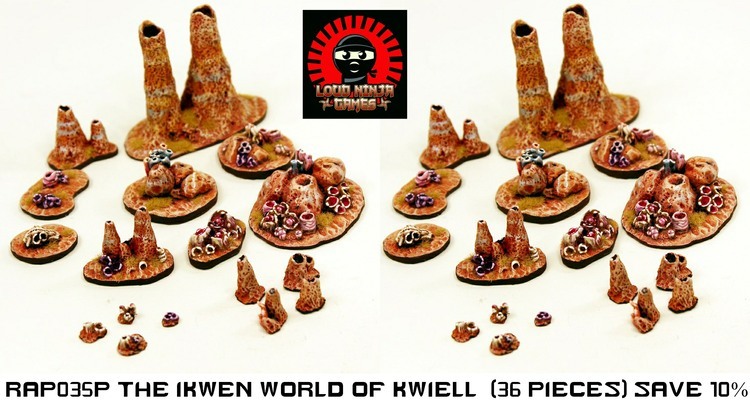 We have four different Ikwen packs for you to choose from and you can see them HERE. 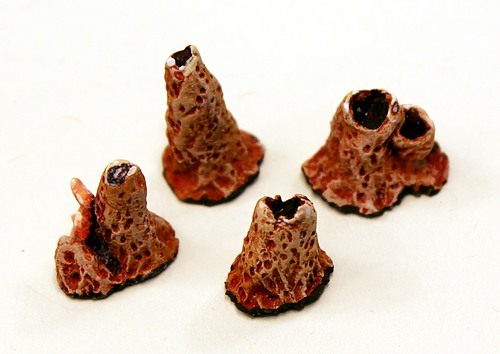 Some of you may be curious to see how the Ikwen match up with these new terrain pieces. Well wonder no more! 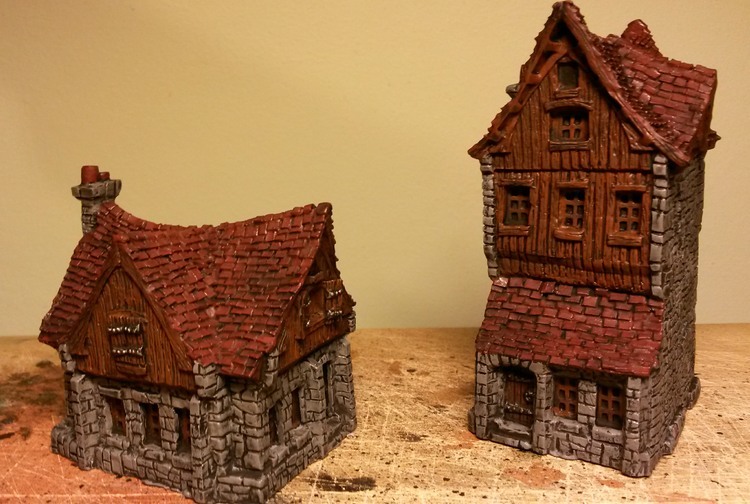 Here is a scale photograph of an inked Ikwen miniature next to the new terrain. HOF 15mm Grey Alien Flying Saucer now in resin! 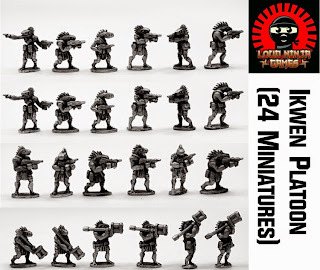 One of the most popular parts of the wide scoped and large HOF 15mm science fiction range (which has over one hundred different packs) are the Grey Aliens. 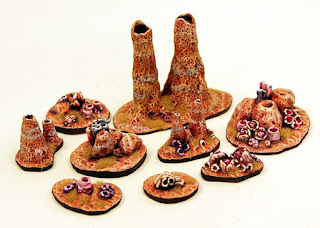 Sculpted by Mark Ricketts they have been a favourite with Alien Squad Leader Players using the Alien Greys list and wargamers over all over the world using lots of different rule systems. 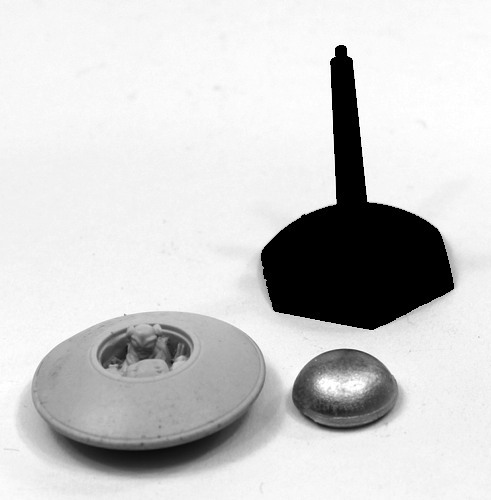 This week we have replaced the original white metal 15mm scale HOF50 Grey Alien Flying Saucer with an identical re-mastered resin vehicle. It is the same saucer and includes a separate dome which can be put on or left off to expose the detailed cockpit with pilot. 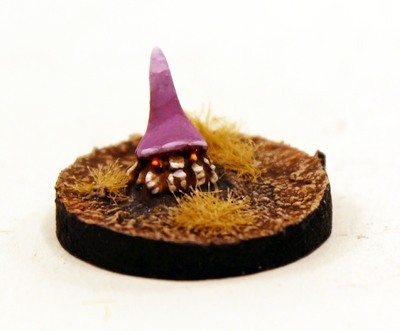 It also comes with a flying base. Priced at 4.00GBP it has not increased in price and it is also part of the Value pack which offers a saving for a whole character driven invasion force. Go HERE. 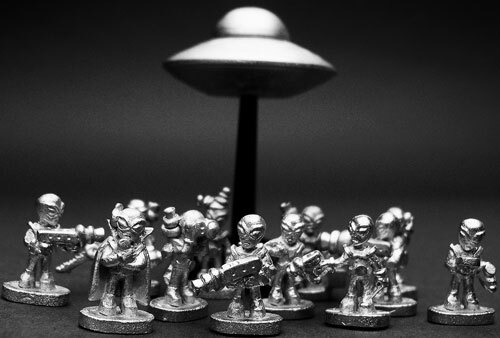 We have five codes including a value pack with saving at the present moment for the Grey Alien part of the HOF Range. Seek them by the code below or click HERE. We also have images of each code. 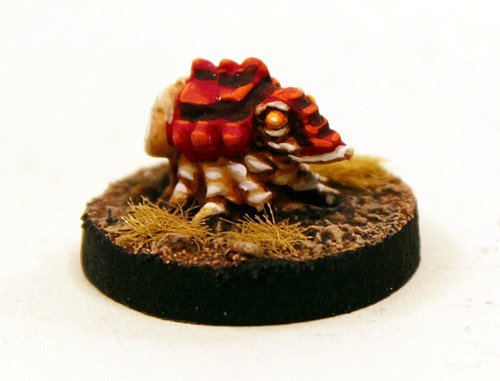 This week we release four new miniatures into the SHM 15mm Range. 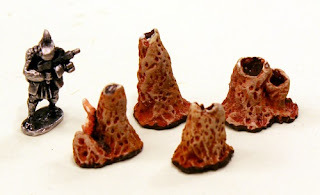 New unique alien miniatures all sculpted by Eli Arndt. Eli has a large presence in the SHM Range which is open to any designer to submit miniatures both sci-fi and fantasy (contact us for details on sales@15mm.co.uk) to and it means you get figures that would otherwise probably never make it into your hands. Go HERE. For full information on this release please read on. There are now more than nearly ninety different miniatures in the SHM range and this set can be had a pack or as singles. This value pack contains ten white metal 15mm scale miniatures and offers a saving over single miniature purchase. A random but even and fair mix of the following miniatures: SHM84 Phase 2 Biomorph, SHM85 Stovan Servitor, SHM86 Sand Dipper and SHM87 Thorn Crawler. Great for any setting from space adventure to space opera to near future and post-apocalyptic madness with a hint of horror thrown in. You can purchase one pack or purchase three with an additional ten percent saving off list price selecting that option on the page (that 10% more than the ten percent the pack saves you already). 7.00GBP per pack.